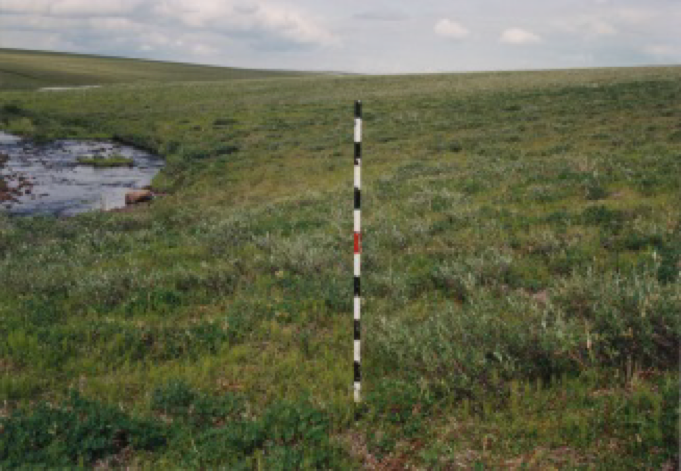 This dataset provides environmental, soil, and vegetation data collected in July 1994 from 56 study plots at the Happy Valley research site, located along the Sagavanirktok River in a glaciated valley of the northern Arctic Foothills of the Brooks Range. Data includes the baseline plot information for vegetation, soils, and site factors for the study plots subjectively located in 17 plant communities that occur in 5 broad habitat types across the glaciated landscape. Specific attributes include: dominant vegetation species, cover, indices, and biomass pools, soil chemistry, physical characteristics, moisture, and organic matter. This product brings together for easy reference all the available information collected from the plots that has been used for the classification, mapping, and analysis of geo-botanical factors in the Happy Valley region and across Alaska. The dataset includes three data files in *.csv format and three companion files. Figure 1. Happy Valley Permanent Vegetation Plot SWT-44. 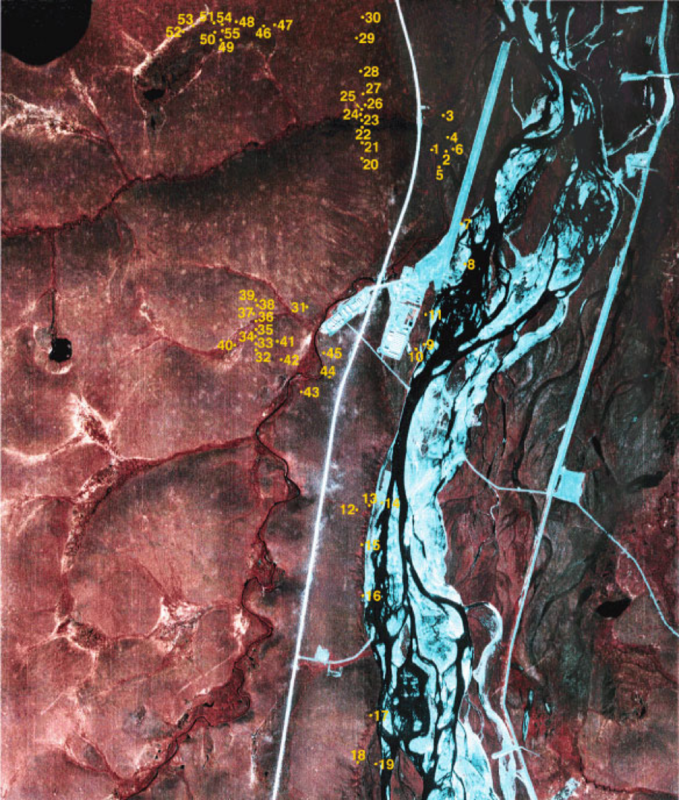 This dataset provides environmental, soil, and vegetation data collected in July 1994 from 56 study plots at the Happy Valley research site, located along the Sagavanirktok River in a glaciated valley of the northern Arctic Foothills of the Brooks Range. Data includes the baseline plot information for vegetation, soils, and site factors for the study plots subjectively located in 17 plant communities that occur in 5 broad habitat types across the glaciated landscape. Specific attributes include: dominant vegetation species, cover, indices, and biomass pools; soil chemistry, physical characteristics, moisture, and organic matter. This product brings together for easy reference all the available information collected from the plots that has been used for the classification, mapping, and analysis of geo-botanical factors in the Happy Valley region and across Alaska. Data File Information: There are three data files with this dataset in comma-separated (.csv) format. Happy_Valley_Environmental_Data.csv Comprehensive set of environmental characterization data for Happy Valley research plots including the descriptive site factors. Most measurement data have been processed to provide values at a common 10 cm depth. This measurement comparability facilitates analysis of geo-botanical relationships across Alaska. Data Descriptions: The column names, their units and descriptions for each of the .csv data files are listed below. Note: Coded and scalar variables are followed by a description column (e.g. landform and landform_desc). See the companion file Happy_Valley_Env_Legend.pdf for a complete list of coded and scalar variables and their descriptions. 4 to 59 HV1 to HV55 (this includes 42a and 42b) Column headings are all 56 plot numbers. The data values are Species Cover Classes (Braun-Blanquet cover-abundance scale): where r (rare), + (common, but less than 1 percent cover), 1 (1-5 percent), 2 (6 to 25 percent), 3 (25 to 50 percent), 4 (51 to 75 percent), 5 (76 to 100 percent). Companion Files: There are three companion files with this dataset in .pdf format. Happy_Valley_Veg_Plots_Report_Walker_1997.pdf Summary report of all the data collected, methods of collection, maps/plots etc. for the 56 study plots at the Happy Valley research site (Walker et al., 1997). Happy_Valley_Plot_Photos.pdf This file contains landscape, plot, and soil photos of the Happy Valley vegetation plots. Happy_Valley_Env_Legend.pdf This file contains the legend for some of the environmental parameters for the Happy Valley vegetation plots. These data bring together for easy reference all the available information collected from the plots and that has been used for the classification, mapping and analysis of the geo-botanical factors in the Happy Valley region. Derived regional maps of these data will be used in regional models of fluxes of trace gases, water, and energy from tundra surfaces. In addition, a circumpolar vegetation classification resulting from these datasets would be highly desirable to extend the results to the entire arctic region. The fifty-six study plots at the Happy Valley research site located along the Sagavanirktok River in northern Alaska (shown in Figure 2) were subjectively located in 17 plant communities and 5 broad habitat types including: dry tundra (including river terraces and frost scars) (10 plots), snowbeds (2 plots), moist tundra (including acidic tussock tundra and nonacidic tundra) (14 plots), shrublands (including riparian alders, riparian willow communities, and dwarf-birch shrub tundra) (16 plots), and wet tundra (including fens, poor fens, and aquatic marshes) (14 plots). Figure 2. Location map of the 56 Happy Valley Permanent Vegetation Plots. Taking photographs of the general site (Figure 1), close-up of vegetation (Figure 3), and close-up of the soil profile (Figure 4). Photos are provided in Happy_Valley_Plot_Photos.pdf and Happy_Valley_Veg_Plots_Report_Walker_1997.pdf. Field sampling of soils where soil pits were dug adjacent to the plots and described and classified according to the U.S. soil taxonomy [Walker et al., 1997]. Soil samples were collected from each horizon and air dried in the laboratory. Bulk density and soil moisture samples were taken from the sides of the soil pits or from large solid plugs for the wet soils using a 240-ml soil can. Laboratory analysis of soil samples included routine analysis on all samples [pH (saturated paste); electric current; NO3-N, (KCL extract); P, K, Zn, Fe, Cu, Mn, (NH4HCO3-DPTA extract); lime estimate, texture estimate (by hand); organic matter (Walkley-Black or ash method); and Sodium Adsorption Ratio]. Selected samples were analyzed for percent sand, percent silt and percent clay; and Ca, Mg, Na, K (NH4OAc extract). Estimating vegetation cover using the Braun-Blanquet cover-abundance scale (r = rare; + = common but less than 1 % cover; 1 = 1-5%; 2 = 6-25%; 3 = 25-50%; 4 = 51-75%; 5 = 76-100%). Plant communities were determined and sample plots were marked with stakes. The area surrounding each plot marker was searched until no new species in the plant community being sampled were encountered. Cover abundance values are relatively broad subjective classes, and were determined by estimating cover within the general area of the stake. Voucher collections were made for all vascular plants, bryophytes, and lichens occurring in the relevé. 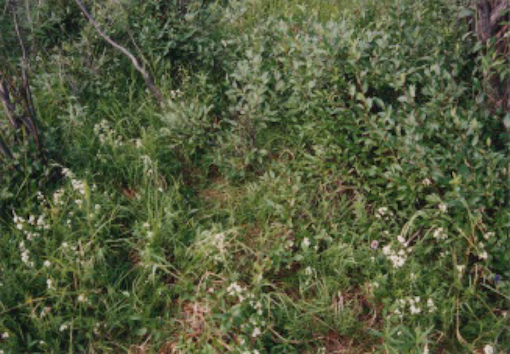 Figure 3: Vegetation at one of the Happy Valley permanent plots (Plot SWT-43). 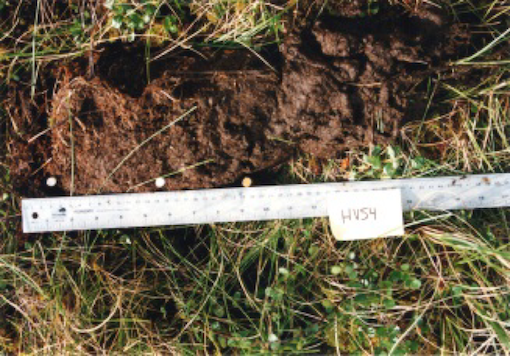 Figure 4: Soil profile at one of the Happy Valley permanent plots (Plot SWT-54). Walker, D.A. (Ed). Alaska Arctic Vegetation Archive Workshop, Boulder, Colorado, October 14-16, 2013. CAFF Proceedings Report #11. Akureyri, Iceland. ISBN: 978-9935-431-29-5. Walker, D. A., A. L. Breen, M. K. Raynolds, and M. D. Walker, editors. 2013. Arctic Vegetation Archive Workshop, Krakow, Poland April 14-16, 2013. CAFF Proceedings Report #10. Akureyri, Iceland. ISBN: 978-9935-431-24-0. Walker, D. A., and M. K. Raynolds. 2011. An International Arctic Vegetation Database: A foundation for panarctic biodiversity studies. CAFF Strategy Series Report nr. 5. Conservation of Arctic Flora and Fauna (CAFF), Akureyri, Iceland. Walker, D. A., Auerbach, N.A., Nettleton, T.K., Gallant, A., Murphy, S.M. 1997. Happy Valley permanent Veletation plots: site factors,physical and chemical soil properties, plant species cover, photographs, soil descriptions and ordination. Data Report for DOE R4D Program, Institute of Arctic and Alpine Research, University of Boulder, CO.